With voting on Measure 101 in progress until January 23rd and the legislative session beginning in early February, there are many opportunities to take action over the next few weeks. This list is long, and I am ordering events in order of occurrence. Please take the time to read through to the end. You may find something further down the list for which you will want to plan ahead. 9a-noon: Community march sponsored by NAACP. March begins at Autzen Stadium, ends with a community meeting at the Shedd. NOW will table at this event. January 17th, 5:30p: Nina Turner (Our Revolution national president) Live at LCC! This event is an opportunity to support Measure 101, particularly with the student population. January 20th, 1p: Indivisible Eugene's Women's March for Action. March begins at the Federal Court House and ends downtown. After parties are planned as well. 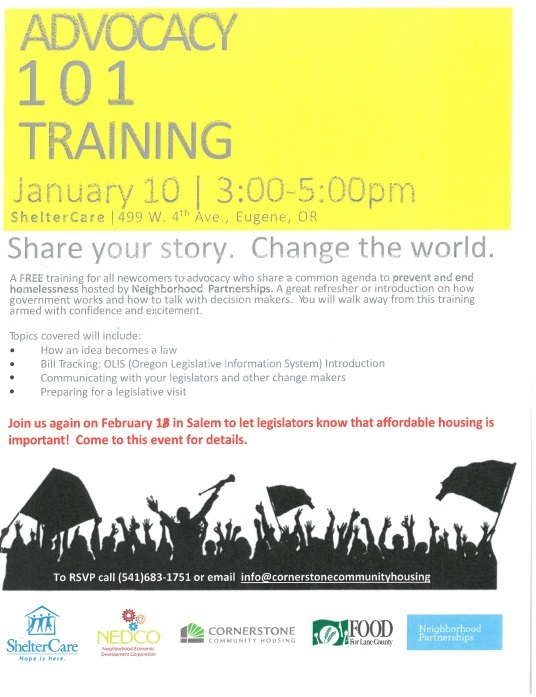 Also a last ditch opportunity to support Measure 101. Canvassing and phonebank events for Measure 101 are available on a daily basis until January 23rd. Phone banks held Tuesday, Wednesday, Thursday; canvassing Friday through Sunday plus special MLK Day event.